Sky has partnered with Universal, the film studio, for a new TV ad campaign to promote Sky Fibre internet service. 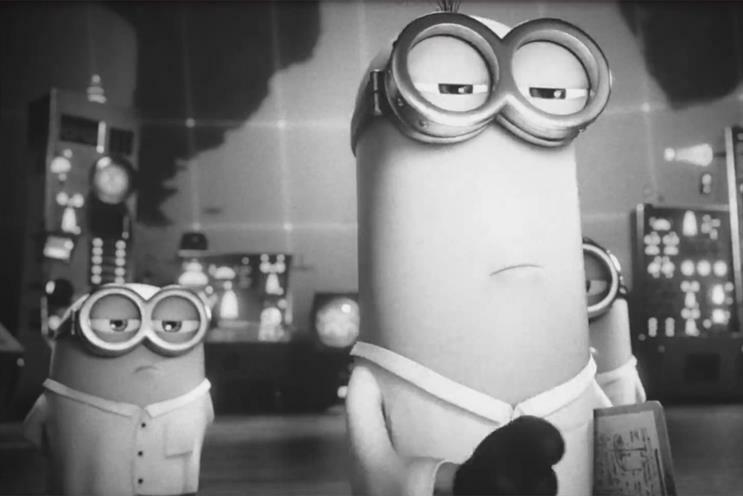 The spot features characters from the upcoming animated film Minions, a follow-up to the 2010 movie Despicable Me. It includes a voiceover by Geoffrey Rush, the Australian actor who starred in The King’s Speech. The ad, created by WCRS and VentureThree, shows how communication has evolved over time, from "stone age" minions using a stone tablet and chisel, up to "modern" minions who use super-fast internet. It will run alongside print, outdoor, radio and digital marketing. Mediacom is the media agency. Carli Farmer, Sky’s head of marketing, consumer products, said: "We’re in a unique position at Sky to be able to call on great partnerships and combine the strengths of different areas of our business to create something special. "And it was a fantastic experience for the consumer product marketing team to work with a key content partner like Universal to market a communications product in this campaign." The ad was written and art directed by Morgan Hinds-Shorland and Tom Madden from WCRS with creative direction from Simon Robinson. The executive creative director was Leon Jaume.